Random Metal Fiber (RMF) is a depth based filtration media that removes particulate by trapping the particulate within the structure of the filter media. 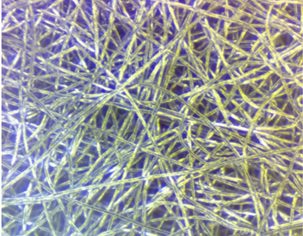 RMF mesh utilizes many individual strands of metallic fibers that are pressed, heated, and bonded together. Process control determines the micron rating of the filter media, and RMF media is typically described by its filtration efficiency. RMF is provided in 316/316L and protection is provided in the range of 1 to 100 microns.